Come discover Seestrasse Apartments an affordable 3 stars studio and apartment hotel and the sister of Hotel Ascot. The apartotel s 15 light flooded, functional studios and its 2 spacious and recently refurnished apartments are located in a beautiful art nouveau building. The apartments are not kosher, but each room contains a kitchenette with everything required to prepare a meal, and it is possible to acquire kosher food at the nearby supermarket. Check-in and check-out take place in the nearby Hotel Ascot, located just a few steps away. Furthermore, the front desk staff of this sister hotel is at your service 24 hours a day. Kosher breakfast at Hotel Ascot is available for an extra charge. Kosher breakfast must be requested at check-in by the guest or ordered in advance. Minimum length of stay for reservations booked well in advance is one week. However, stays of only a few days are available on request. Daily cleaning service and weekly change of linen are included. 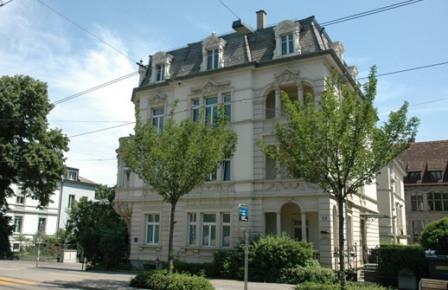 At the Seestrasse there are studios, 1 room apartments, 2 room apartments and a 3 room apartment. Between the rooms there is no connecting door. Welcome to Seestrasse Apartments! The light flooded, functional Studios and two spacious and recently refurnished apartments are located in a beautiful art nouveau building in the heart Zurich. 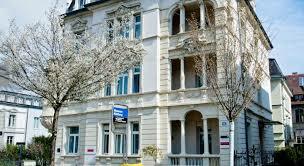 Come and discover the Seestrasse apartments: two 3 stars apartments and studios at reasonable prices. Its parent hotel is the hotel Fifa Ascot. Located in a beautiful Art Nouveau building, the residence has fifteen bright studios and two spacious and renovated apartments. The apartments are not kosher, but each room contains a kitchenette with everything needed to prepare a meal, and there is an opportunity to buy kosher food at the nearby supermarket. The reception is at Hotel Ascot, a short walk from the residence. Moreover, staff at the Fifa Ascot Hotel reception desk are at your service 24 hours a day. You can also get a kosher breakfast at the hotel for a fee (a kosher breakfast must be requested at the receipt of the keys to the apartment or in advance). Cleaning is done daily and the linen change once a week. There are 15 studios divided into two categories: the first has a large bed (140 cm) and the second two beds (twice 90 cm). All studios have light parquet floors and two beds or a large folding bed. Each also has a desk, a table with two chairs and a well-equipped kitchenette. The latter is equipped with two hotplates, a microwave, an electric kettle, a fridge with freezer, a coffee machine, cutlery and pans. Bathrooms are modern, and most have bathtubs. The studios are equipped with a cable TV and a telephone. A washing machine and dryer, as well as an iron and ironing board are also available. Both apartments are spacious and have recently been refurbished and re-furnished. The living room is equipped with a large flat-screen TV and a DVD player. The open-plan living room seats up to 6 people around the dining table. The kitchen includes a coffee maker, an electric kettle, a microwave, an oven, a fridge-freezer, a dishwasher, cutlery, and pans. In the 2.5 room apartment, the room consists of two beds (twin). And the 3.5-room apartment has an extra bedroom with a queen-size bed. The bathrooms are spacious and have two sinks and a bathtub. There is a washing machine and tumble dryer, as well as an iron and ironing board. Set in a beautiful Art Nouveau villa, Seestrasse is close to the shore of Lake Zurich, the Rittberg Museum and the Botanical Garden. It is easy to reach all the attractions of the city, on foot or by tram. Banhof Enge with its supermarkets, kiosks, restaurants, pharmacies, hairdresser, bank, etc. is 2 minutes walk. The Rietberg Museum tram stop (line 7) is right outside the building and only 8 minutes by tram from the main train station. From the city center, guests can easily reach sights such as the famous shopping street Storchengasse. 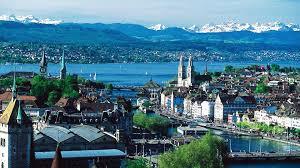 Zurich, Switzerland׳s largest city, is considered one of the cities with the highest quality of life worldwide. It is the economic, scientific, and social center of Switzerland and offers visitors a unique mix of discovery, pleasure, nature and culture. 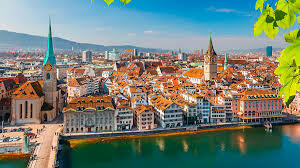 Architecture: Zurich has various imposing buildings such as the Grossmünster, the observatory, the Prime Tower or the tallest grain elevator in the wold. Events: traditional ones as Sechseläuten or Knabenschiessen alternate with internationally renowned events such as the Street Parade and Zurich Film. Festival or sport and lifestyle events like the Iron Man or Weltklasse Zurich. History: Ulrich Zwingli’s Reformation and other historical events took place in Zurich. Art: more than 50 museums and 100 galleries show important works. Landscape: the mountain Uetliberg, Lake Zurich and the rivers Limmat and Sihl characterize the cityscape. Nightlife: Switzerland’s widest range of to concerts, theatre, cinema, bars, night clubs and discos. Oasis: numerous parks invite to linger e.g. the zoo, China Garden or Belvoirpark. Shopping: stores of international fashion and luxury brands alternate with local urban labels and several markets. Economy: the Paradeplatz in Zurich is a symbol for Switzerland׳s financial center.